Only one former Husker will head to Indianapolis later this month to take part in the NFL Scouting Combine. Wide receiver Stanley Morgan Jr. was the only former Nebraska player on the list released Thursday. Absent from the list, former Husker running back Devine Ozigbo. As for Morgan, some of his immediate strengths on his NFL draft profile list that he operates with consistently good play speed and urgency, has no hesitation attacking over the middle and that he’s willing to put in work as perimeter blocker. He’ll have a chance to show those strengths off in Indianapolis soon. Morgan will join 52 other players from the Big Ten at the Combine. That includes Iowa tight end Noah Fant, who is originally from Omaha, Neb. Ohio State leads the Big Ten at the Combine with 10 players invited, followed by Wisconsin with eight and Penn State with seven. Michigan had six, Iowa and Michigan State had four, Indiana, Northwestern and Maryland had three, and Rutgers and Minnesota had two. 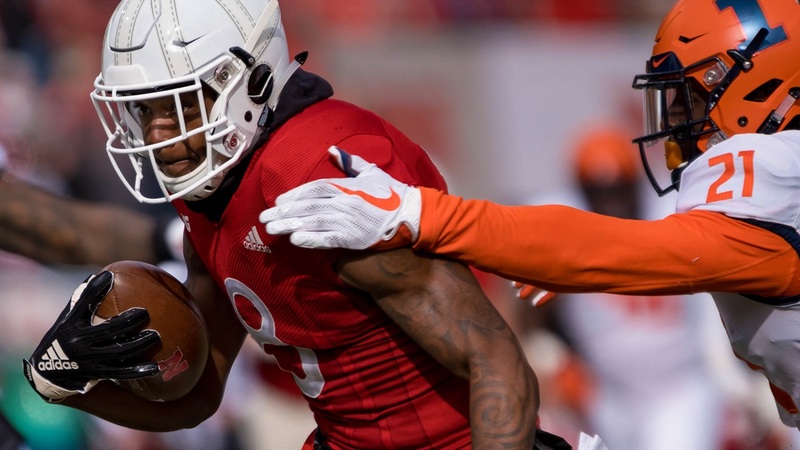 Nebraska sent five players to the Combine last season: quarterback Tanner Lee, cornerback Chris Jones, safety Joshua Kalu, kicker Drew Brown and offensive tackle Nick Gates. The Combine takes place in Indianapolis from Feb. 26 through March 4.